By admin | November 19, 2012. 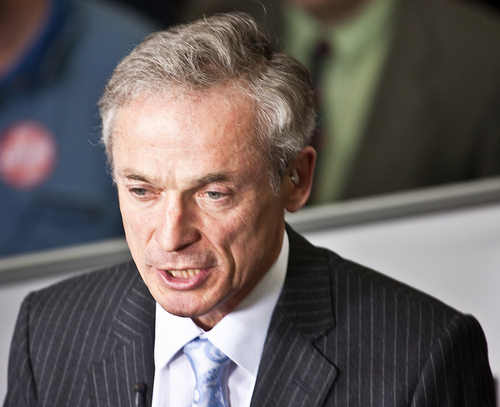 Fifty nanotechnology research jobs are to be created in the local Dublin area, announced Minister Richard Bruton today. CRANN nanotechnology centre, a research institute at Trinity College Dublin, has secured eight million euro in funding. On top of that €20 million euro has been committed to funding nanoscience research over the next six years. Nanotechnology is the science of creating systems on a molecular scale, in trend with miniaturisation, to make high performance products. Ireland is currently ranked sixth in the world for nanoscience research and this funding hopes to strengthen the country’s standings as a leading force in technological development. CRANN is a government-funded research centre working with multi-national partners such as Hewlett-Packard and Intel. Minister for Enterprise, Jobs and Innovation, Richard Bruton said, “A key part of the Government’s plans for jobs and growth is ensuring not only that we continue to develop good ideas through scientific research, but also crucially that we turn more of them into products, services and ultimately good jobs”. “I commend everyone at CRANN and in SFI involved in these investments, and am determined to ensure through strong implementation of these changes we can see announcements like this across the country in the coming years”.